Here are some greeting cards I have been making. These were made last week but I am just adding them today. I used Tim Holz birdcage die and another die birdcage, sorry can't remember the name at the moment. I found these wonderfull flower stickers at the dollar store. Both birds were printed twice then I cut the wing off and put a piece of foam tape to raise it's wing off the paper a bit, makes it more 3D looking. 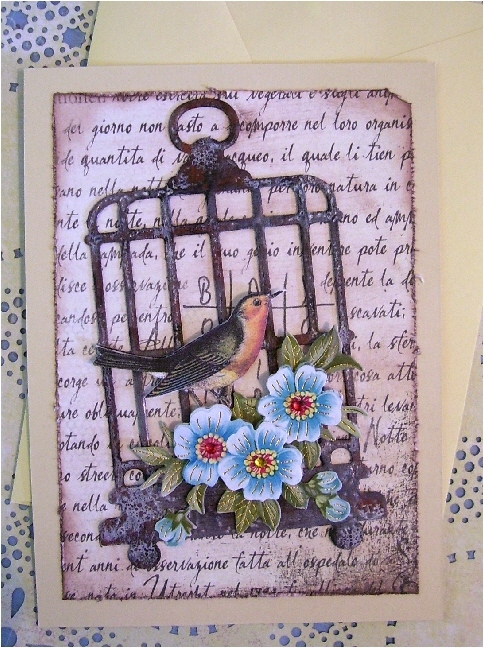 The background papers are from my stash and I painted and distressed the birdcages to make them look rusty and worn. I made quite a few of these and will be giving them as little bundles of cards for gifts at Christmas or upcoming birthdays. 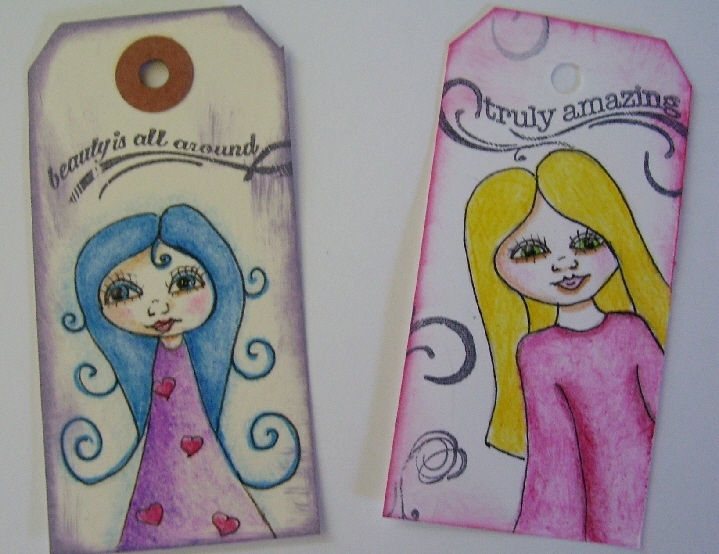 Everyone seems to like getting cards to give to others and surely a one of a kind you can't buy in any store. I think cards are my favourite besides ATC's to make. And don't laugh but I have been trying to do faces. I have seen a lot of these whimsical faces and I have been sitting ,when I was watching the Playoff hockey, trying my hand and patience at these. I have drawn a lot of them and I think I am finally onto it. Each one is different as all faces are. I love colouring their hair in different colours. Kind of makes me feel like a kid again. 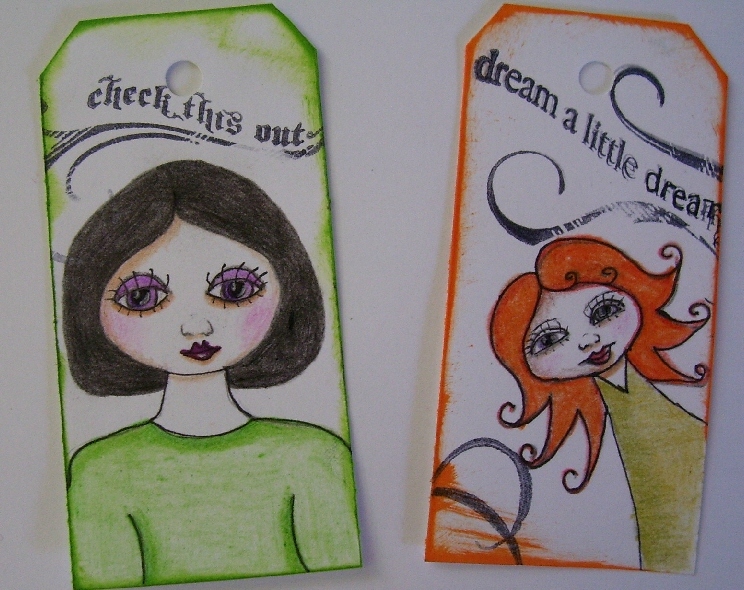 I just made these tags and will probably use them down the road to attach to a gifty or maybe send with a swap I do. Isn't that what art is about? Oh and I love my wireless. 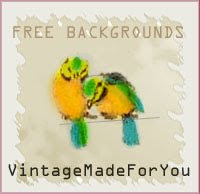 Your bird cage cards are GORGEOUS! Love your hand drawn faces...they are really good! Would make great stamps. I can't draw a straight line! Love your faces,very nice job.The birdcage cards are delightful. Did you have to remind us that christmas is just around the corner! These birdcage cards would make beautiful christmas cards. Your very adventurous to have a go at faces. I have tried myself but my downfall is the eyes. Gorgeous work! 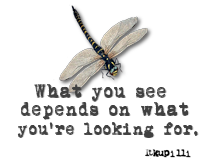 It's so much fun to experiment and push yourself! 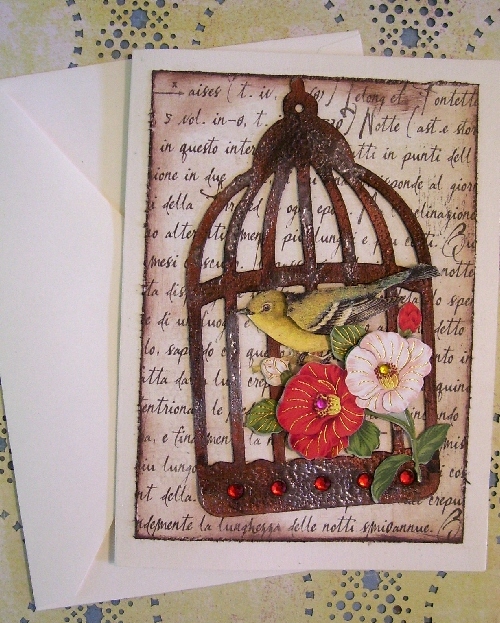 Your birdcage cards are fabulous Les.. Likie that bird cage die on the second card. Great faces, love their hairstyles! I am loving your art work Lesley, beautiful and i love those faces they are so lovely. When you mentioned bird cages in your other post, I knew I had to keep reading till I found them:) Love the way you made them look rusty and shabby chic.